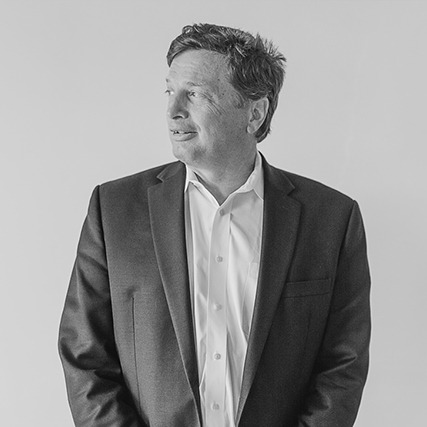 A founding partner of VMDO, Bob is a passionate advocate for today’s “New Learner.” He strategically supports the firm's public K12 projects by mentoring design teams to create great schools that inspire students to become active participants in the learning process. In the current fast-paced Information Age where students can’t learn enough, fast enough, solving that mission has required a new direction in educational architecture. One where every school space – hallway, cafeteria, playground, and classroom alike – presents an opportunity for learning. Part of his commitment to educational facility design stems from his own intellectual curiosity and desire to learn. An avid student of brain science, Bob has built an extensive network of experts in a variety of fields and reads extensively in search of new insights into the learning process. He continually partners with diverse organizations to expand educational planning and design, including collaboration with the National Institutes of Health to study the environmental effects of school buildings on children’s health. Bob is also partnering with the US Green Building Council to develop a LEED credit for school buildings that contribute to the physical fitness and health of its occupants.